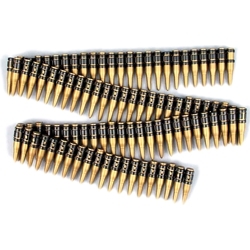 Bullet Belt. Made of plastic. Length: 60" long. For costume/accessory use only.